Are you serious? There’s an entire layer of toys that’s covered by other toys! The Spider-Man comic on the right, underneath the Death Star, is Peter Parker, the Spectacular Spider-Man #27, a Bronze Age key. It marks the first time Frank Miller drew Daredevil. 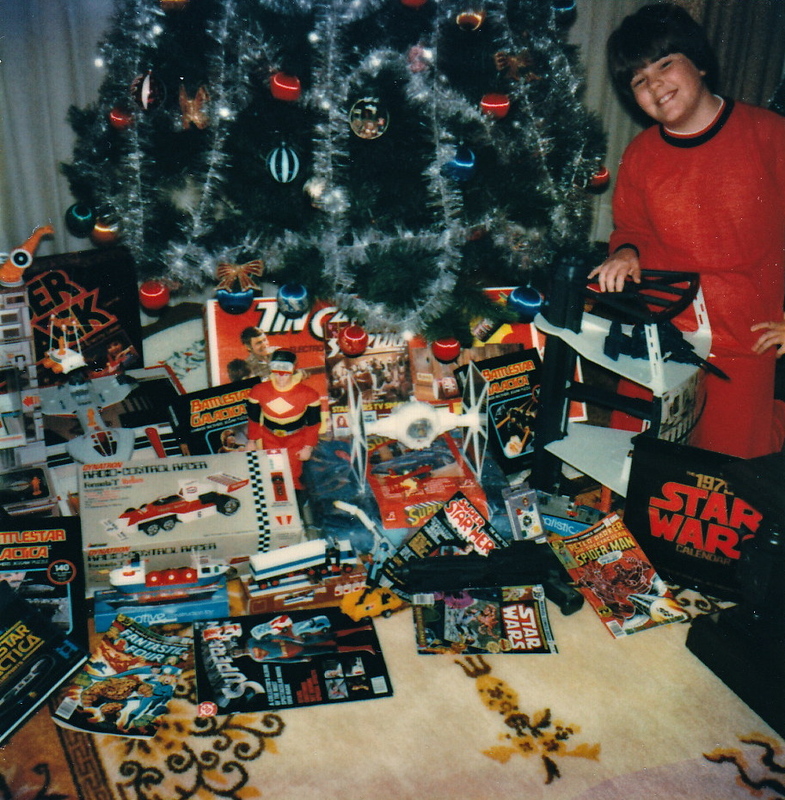 The ship on the left, above the Radio-Control Racer, is a Star Bird Avenger. 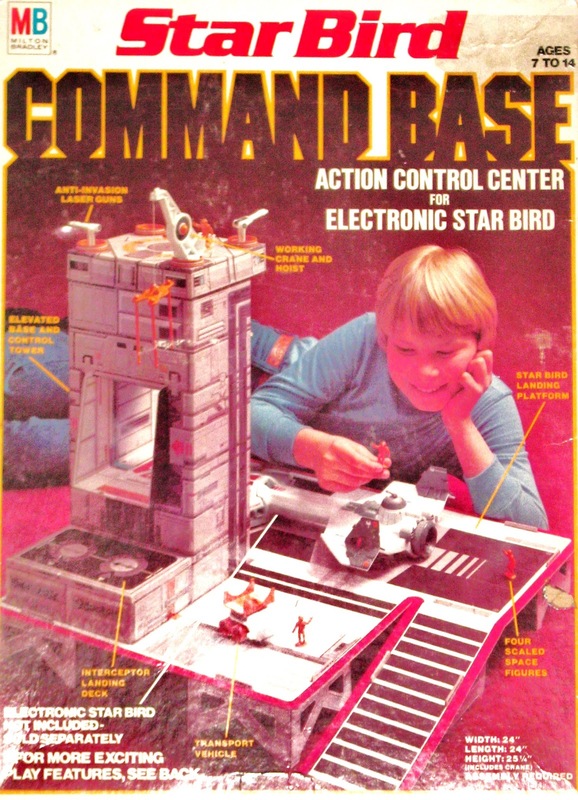 Right next to it is the Star Bird Command Base, seen below via John Kenneth Muir. 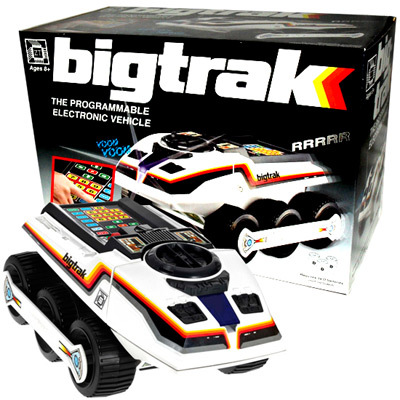 The Big Trak was kind of lame, to be honest, but if I found one on my doorstep I would probably start weeping with glee. Why make me pre-program my space vehicle to go places instead of letting me remote control it the whole damn time? At least give me both options, right? I guess it gave kids the idea that they were computer programmers, and that in the future this experience would get them hired by NASA to drive a much bigger space vehicle around the fields and mountains of Mars. Hell, maybe the Mohawk Guy had a Big Trak! Ah, Rom. Sir, you are no Micronauts. What the hell did this thing do again? Uh-huh. What the hell did this thing do again?